New Features Coming for YouTube Content Creators: In a recent video update, YouTube announced several new features being built for YouTube video creators. YouTube content creators can look forward to a mobile app for YouTube channel management. Crowdfunding directly from YouTube is also on its way. Finally, existing features, like closed-captioning and commenting, will see improvements. Facebook Officially Rolling Out New Page Design: Facebook will change all fan pages over to its latest design this month. 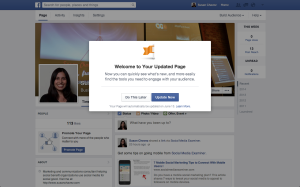 If Facebook hasn’t already prompted you to change your fan page to the new look, here’s what to expect. Twitter User Base Growing Worldwide: Twitter use is rapidly gaining speed in emerging countries like India according to eMarketer. If projections hold true, the number of Twitter users in Asia-Pacific countries will be higher than those in North America.